The National Association of Concessionaires (NAC) and The University of Memphis Kemmons Wilson School (KWS) of Hospitality and Resort Management have released a report on the findings of research first unveiled at Show East 2018 and updated at CinemaCon 2019. The report has been published into a book and is available for purchase now. Movie Theater Preferences highlights the results of an online survey of moviegoers conducted during the first quarter of 2018. 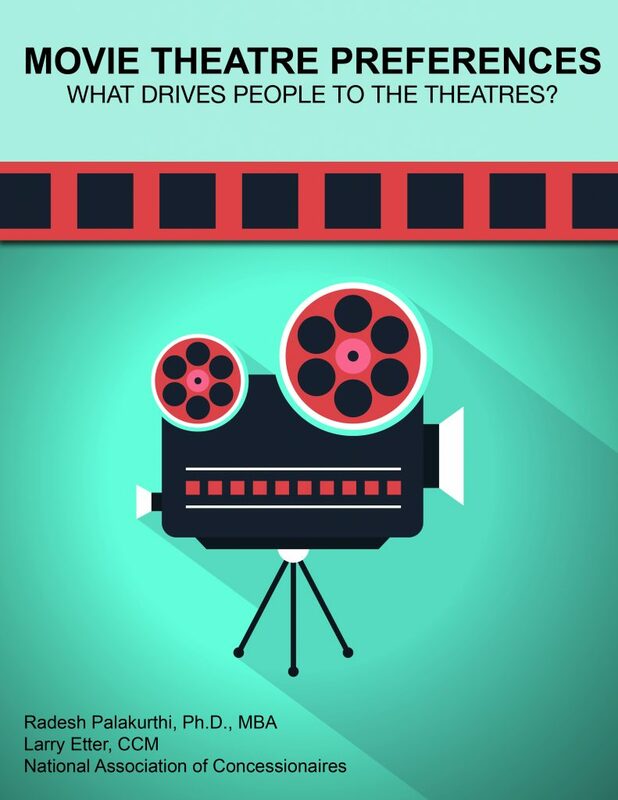 The purpose of this research was to assess the relative importance of ten important movie theater attributes and the subtle trade-offs that moviegoers made among them while choosing a movie theater. Conjoint analysis was used to study over 22,000 movie theater profiles that were evaluated by the participants. The expected changes in movie theater market shares and the related contribution margins with investments in popular concession upgrades are also estimated. The report is available by purchase only for $195.00 for members and $295.00 for non-members.